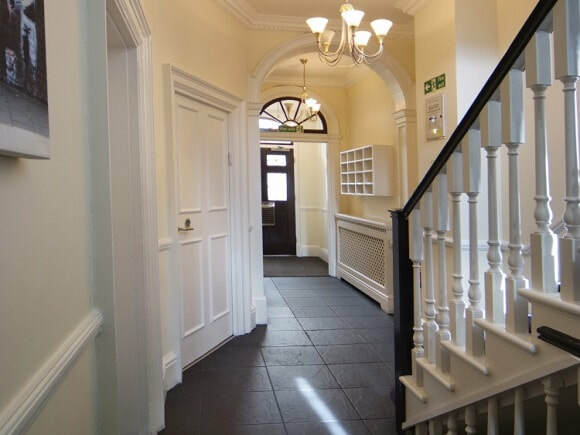 Located in a road in London filled with character properties are these attractive managed offices for let in W1. The suites are arranged over six floors including a basement and come complete with office furniture and digital telephones per person. Within the building there is a terrace area, lounge and a kitchen which is communal for all to use within the rent price. With all office space set up with internet and telephony points, this rental also offers high speed broadband and dedicated lines which can be configured to a particular arrangement. The local area has a selection of amenities in the region and tube transport is also good providing a choice of stations close by with transport via the Bakerloo, Metropolitan, Circle and Hammersmith lines.